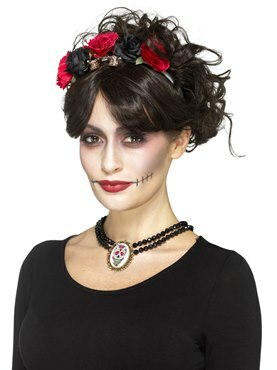 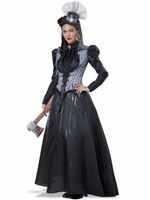 Walk up the aisle this Halloween in our Day of the Dead Bride Costume! 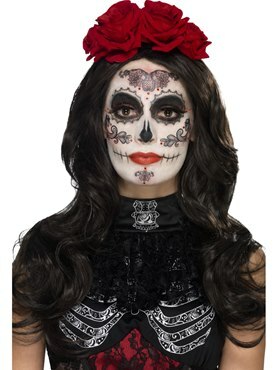 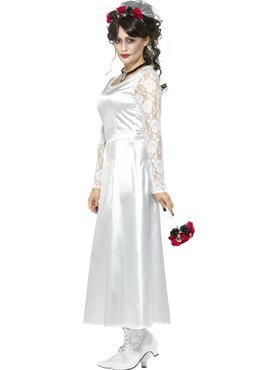 Commemorate the dead in this Traditional Day of the Dead Bride Costume which includes a satin full length Gown with lace sleeves and matching detailed neckline. 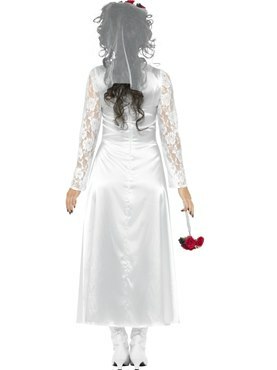 The red and black rose Bouquet and matches the Headband with attached white Veil.